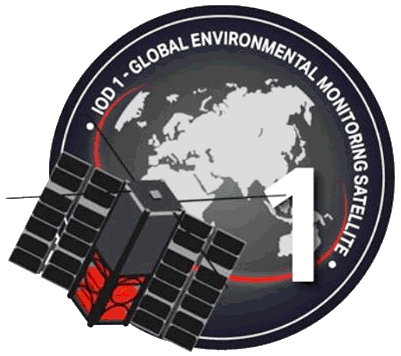 Orbital Micro Systems’ IOD-1 GEMS (Global Environmental Monitoring System) satellite will be launched on April 17, 2019, from the NASA Wallops Flight Facility at 4:46 p.m., EDT, as a member of the International Space Station resupply mission, CRS-11/NG-11. The IOD-1 GEMS satellite employs the first commercial microwave radiometer placed in orbit and the radiometer uses the first 3D-printed antenna aboard a satellite. Orbital Micro Systems is a commercial space company based in Boulder, Colorado, and Oxfordshire, England, that provides real-time, frequent, and highly accurate weather information to commercial and government organizations around the world. This satellite is the first of a planned constellation that will be comprised of 48 cubesats that will dramatically improve the temporal frequency of global microwave radiation observations from hours and days to intervals approaching 15 minutes. Data collected by the GEMS constellation will be available to commercial, government, and research subscribers from OMS’s International Center for Earth Data (ICED). In addition to observations from GEMS, ICED aggregates and processes weather information from a multitude of disparate sources, and provides easily consumable information to its subscribers, sometimes within minutes of collection. The data produced from ICED will have a tangible impact on the lives of millions of people in all areas of the world. This includes improved crop management in the world’s farming communities, safer route planning in the aviation and maritime industries, and better land management in areas where forest fires and other natural disasters are prevalent. The mission is part of the In-Orbit Demonstration (IOD) Program, funded by Innovate UK and managed by the Satellite Applications Catapult.